Production Expert | Solid State Logic (SSL) Announce The New SiX - Is This, As They Claim, The Ultimate Desktop Mixer? Solid State Logic (SSL) Announce The New SiX - Is This, As They Claim, The Ultimate Desktop Mixer? The team at Solid State Logic, better known as SSL have been very busy of late. 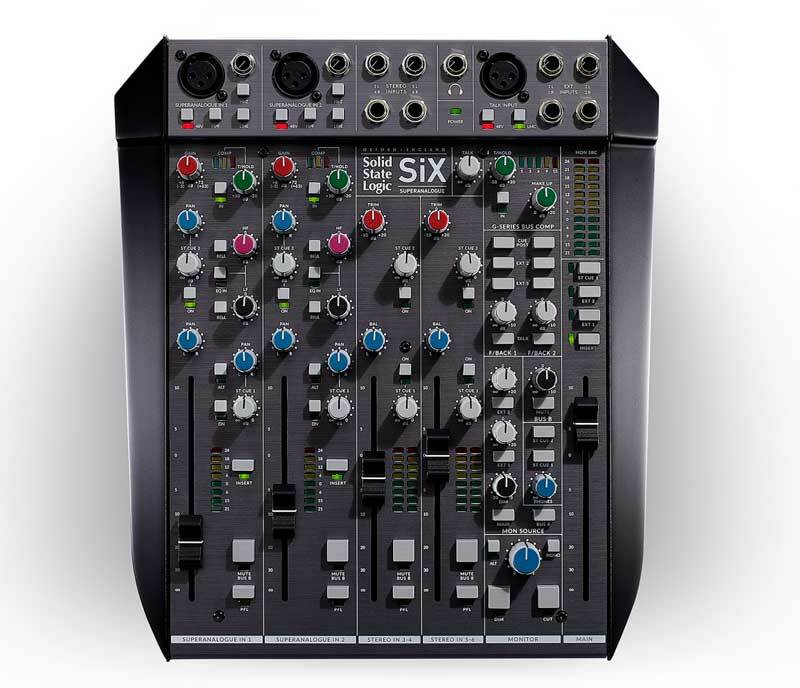 First we got the amazing SSL Fusion Colour mixing and mastering processor, now we get a new table top mixer called SiX, that they claim is the ultimate desktop mixer. And from what I see they could well be right. I don’t know about you but I have long wished for a top quality, yet small form factor mixer. The rule of thumb would appear to be any less than 8 channels and the quality takes a dive. I have even been looking on the auction sites for a second hand location recording console to act as a secondary mixer to work alongside my main studio console. But now SSL have announced SiX, could this be the answer to my studio prayers? SiX is said to be a classic SSL design with 40 years of SSL DNA in it signal path and it looks like it could be everything an SSL console should be, but at a price that makes the name SSL accessible to us all. SiX is available now from your SSL dealer priced at £999 +VAT, $1499+Tax, €1199 +Tax depending on where you are in the world. We look forward to getting a Six very soon for a deep dive review. For more of Six check out the SSL website and for a full studio demo session take a look at the video below. SiX really could be the centre of your music, post or podcast workflow.